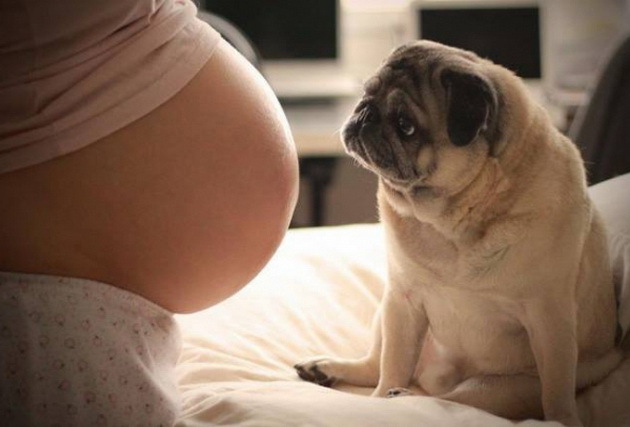 Pregnancy is happy period for all family members – including pets. Although in any case do not have to leave them during the blessed days, you should take some protective measures. However, it is animals. Cats and dogs are our most common pets, and quite logical is to talk about them. Most dangerous infection that you can get from cats is toxoplasmosis. It is produced by parasite that cats receive from another cat or their droppings if they eat raw meat. They spread the infection through their stool, so for pregnant woman is extremely important not to clean cat droppings, or you already must, use gloves. Infection does not have to have consequences for the mother, but they can occur in a child – especially if the mother has never had such an infection and is infected in early pregnancy. 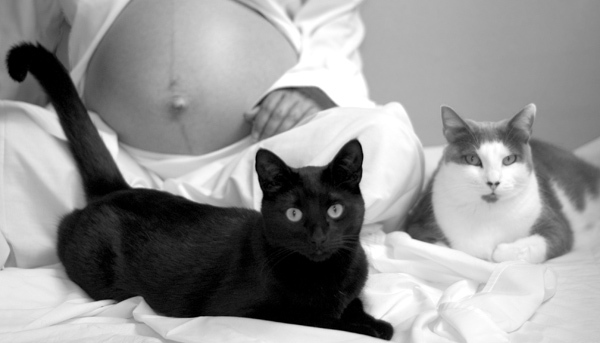 Avoid yourself to clean and you do not need often to be close to the cat during pregnancy. It is not recommended your dog to touch your belly. If your dog has bad habits like biting and jumping, train it it to avoid problems when the child. Regularly Immunise. Of particular importance is to be completed with all vaccinations before your baby is born. If you are too close to your dog, ask your partner or another family member to spend more time with it. Because the child will take a lot of time and attention, it is good for your dog to develop relationships with others to make it easier and to adjust to new changes. Previous articleSun, beach? What else you need for a summer vacation?